The Chateau Marmont is legendary for its Hollywood guests... and the notorious events which take place there. In fact, Harry Cohn, founder of Columbia Pictures, once said: "If you must get in trouble, do it at the Chateau Marmont." 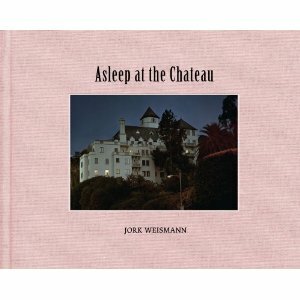 Photographer Jork Weismann recognises this iconic hotel as a place where stars can be themselves and relax, in a book entitled "Asleep at the Chateau", where Jork shows a quieter, softer side of the infamous hotel, snapping celebs enjoying their downtime. Indeed, looks like Eva Longoria languishes at the hotel sans clothes... check out her pic, and other photos from the coffee table book, available via Distributed Art Publishers from October 31. LOVE...this book will most definitely be a permanent fixture on my coffee table! Coffee Table? More like in my bathroom with that pic of Eva's luscious booty.